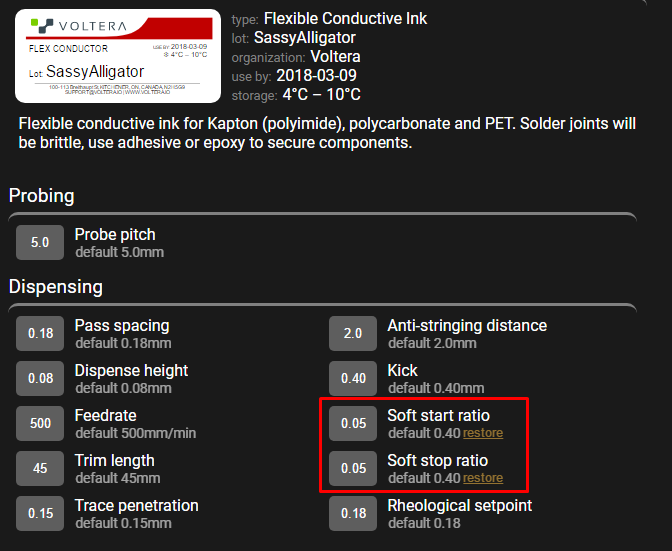 The extra ink being dispensed at the beginning and end of a trace has been reduced. This ink is particularly compressible and often oozes in between traces, this release improves the issue. Also, the default printing settings have changed so to take advantage of the improvements, make sure you restore all settings to their default! 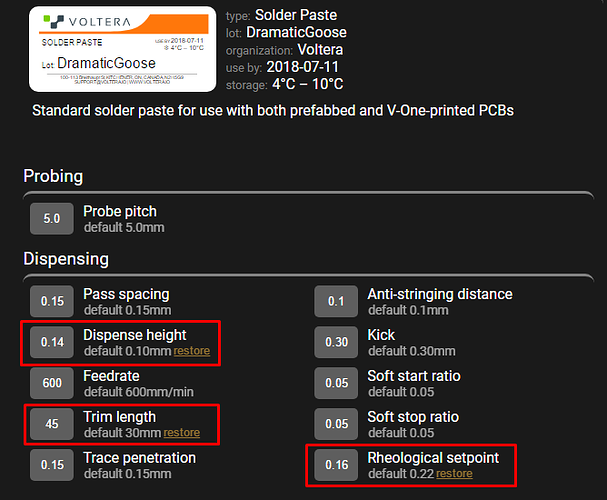 We have improved pad coverage for longer prints for T4 solder pastes (both alloys). Longer prints required users to constantly click the + button to maintain consistent flow, this should no longer be the case as the default printing settings have changed so make sure you restore all settings to their default!